Debra Caplan. Yiddish Empire: The Vilna Troupe, Jewish Theater, and the Art of Itinerancy. Ann Arbor: University of Michigan Press, 2018. 342 pp. $40. One of the most precious moments in Debra Caplan’s gripping story of the near-forgotten Vilna Troupe is a description of boxes of newspaper clippings given by actress Bella Bellarina (Rubenlikht) to the YIVO archives in New York City. The boxes, clearly reflecting a lifetime of careful curating, were still taped shut because no one had yet explored their contents (237). 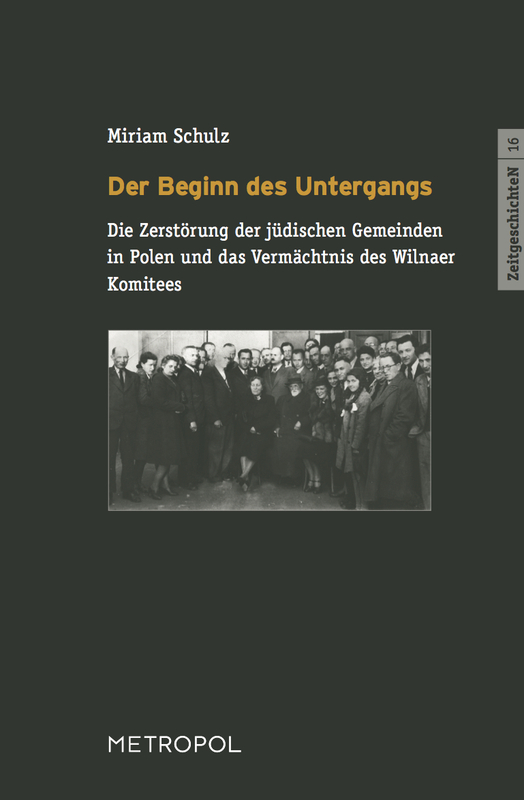 Caplan was the first, and hers is the first serious monograph on the Vilna Troupe. The reader only wonders why it has taken so long. The easy answer, as Caplan herself notes, is that the Vilna Troupe was, in fact, not a troupe at all. Rather, it was a “cultural phenomenon” (215) consisting of multiple companies all over the globe creating a brand of Yiddish art theater with overlapping repertory, artists, and audiences. Anyone who was in any of the companies at any time could call themselves a Vilner and form their own troupe—and audiences bought it. That shifting network, however, is nearly impossible to track and analyze. 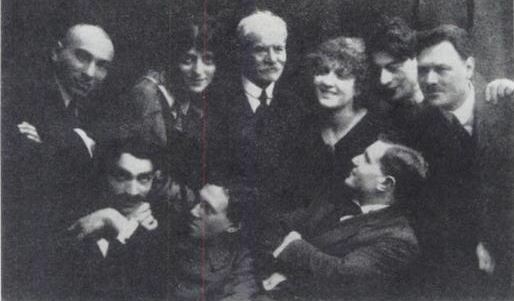 To tell the story of the Vilna Troupe demands not only a global perspective, but also technical tools of digital humanities; Caplan’s accompanying website (www.vilnatroupe.com) maps the nearly 300 artists, multiple locations, texts, and institutions that make up the vast network that was the Vilna phenomenon. Capturing this shifting network helps uncover some of the workings of Jewish performing arts, showing one could be “Jewish and modern at the same time” (241). Caplan tells the story of the Vilner as it should be told—as a page-turner. Why and how a group of amateurs became a global brand that fundamentally changed theater history is, quite simply, a gripping tale. She opens with an introductory sketch of the growth of Yiddish theater in the late nineteenth century, despite the antitheatrical prejudice of rabbinic authorities and the liminality of the stage for the Jewish community, the Jewish stage for the larger theater community, and Yiddish as a literary language for just about everyone. In the early twentieth century, however, the Jewish intellectual elite began to clamor for the creation of Yiddish high culture, and in particular, Yiddish-language theater that would offer a high-quality product far from the melodramatic shund so popular with audiences. Despite the failure of famous Yiddish writers like I.L. Peretz to write engaging plays, theater companies like those of Avrom Kaminski and Peretz Hirschbein remained committed to figuring out how to bridge quality and entertainment. Enter the Vilner phenomenon. A “chance wartime encounter between refugees and starving locals” (47) in Vilna brought together amateur teenagers to play at acting. They had read about the celebrated Moscow Art Theater in magazines and wanted to work on Yiddish theater in this new realistic way, and they founded FADA, the Farayn fun Yidishe Dramatishe Artistn. In 1915 Vilna fell under German occupation, and the Germans, unlike the Russians, allowed the youngsters to perform in Yiddish. Thus war created the conditions for this breakthrough in Yiddish theater. The FADA group became the “Vilna Troupe” later, only after they had left Vilna for Warsaw in 1917 and then dispersed across the globe. Its first dispersion was the result of a romantic scandal as the troupe split into two when lovers Alexander Asro and Sonia Alomis left Mordechai Mazo. This rupture did not end the Vilna Troupe, though; it only improved its reputation, because a “Vilna Troupe” could now be in multiple places at once. In this initial, doubled incarnation, the troupes idolized the Moscow Art Theater and its realistic style. The troupes performed European repertory including Lev Tolstoy’s The Power of Darkness and Evgenii Chirikov’s The Jews, as well as Yiddish plays by Sholem Asch, Peretz Hirschbein, and Jacob Gordin. In 1920-1921, both Vilna Troupes took on S. An-Sky’s 1914 The Dybbuk, which transformed their style and skyrocketed them to global fame. The play became “the most influential Jewish drama of the modern period” (88). 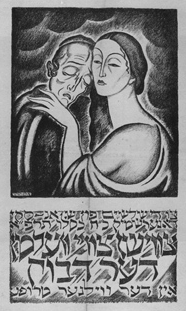 Both productions of the ill-fated lovers Leah and Khonen were directed by Dovid Herman, who pushed the actors beyond realism to German expressionism and Polish modernism. The productions at both Mazo’s Warsaw company and Asro and Alomis’ Berlin group combined mysticism, music, and a non-realistic acting that marked the Vilna’s unique style. The Dybbuk also broke the Vilner—all of them—out of the confines of Yiddish theater and into an international theatrical arena. Caplan then traces the groups’ travels in the 1920s, the Golden Age of the Vilner, and shows how crucial the Vilner were for the development of theater worldwide at this time. In fact, Asro and Alomis’s 1924 New York tour failed to garner the critical acclaim and ticket sales they anticipated—because of “the company’s own success in inspiring other artists around the world to emulate it” (153). That is, the Vilner had already inspired an artistic revolution on Second Avenue, so New York Yiddish theater audiences were unimpressed. Yet for Caplan, the relative failure of the tour only “demonstrates the global success of the brand” and shows how the Vilner catalyzed change in Yiddish theater far from Europe. Yet inspiration moved in other directions as well. It was the Vilner that brought major American playwright Eugene O’Neill to Polish theater with Mordechai Mazo’s 1928 production of Desire Under the Elms. Director Avrom Taytlboym had been in New York with Maurice Schwartz’s Yiddish Art Theater and discovered the American playwright, then a star and staple on Broadway. Within a year, Polish theaters in Warsaw were producing their own productions of O’Neill. The Vilner, because of their transnational networks, “served as a major conduit” (180) for bringing new texts and authors from West to East. The decade of the 1930s, however, saw the end of the Vilna Troupes due to assimilation of actors and audiences into non-Yiddish theater, and the rise of antisemitism and economic depression across the globe. Caplan argues, though, that the demise of the Vilna Troupes and the scattering of its actors actually globalized the Vilna influence. While she briefly sketches the tragic fate of many of the Vilner actors, a portion of whom were murdered in the Holocaust, she is quick to highlight the way their theatrical traditions continued. Not only in Poland and the United States, but also in countries throughout Western Europe and Latin America, as well as South Africa, Australia, New Zealand, and eventually Israel, theater companies were founded by artists who had worked in one of the many Vilna Troupes (196). Caplan couples the narrative of the Vilna Troupes and their actors with several brief “interludes,” allowing her to share more of the backstage biographies that make a theater come to life, such as love affairs between Bella Bellarina and Chaim Shniur, or Luba Kadison and Joseph Buloff, or stories of how good Jewish children took up life upon the wicked stage. But this monograph offers more than theater anecdotes. Caplan argues, convincingly, that the Vilner were “a turning point in global theater practice” (4). She points out that Yiddish theater is rarely mentioned in any general history of the theater and that it belongs there. Caplan’s work here bolsters Sharon Carnicke’s argument about theater director Konstantin Stanislavsky’s influence on the development of American theater and actor training and how Stanislavsky technique was filtered through Second Avenue Yiddish Theater. 1 1 Sharon Carnicke, Stanislavsky in Focus: An Acting Master for the Twenty-First Century (New York: Routledge, 1998). Stella Adler, let’s remember, belonged to the Adler acting dynasty, and Lee Strasberg was born Israel Strasberg in Galicia, before moving with his Yiddish-speaking family to New York City. In other words, Yiddish theater is at the heart of the entertainment industry in the US, and it belongs at the center of theater history. Caplan’s book accomplishes this sizeable task through engaging methodology. 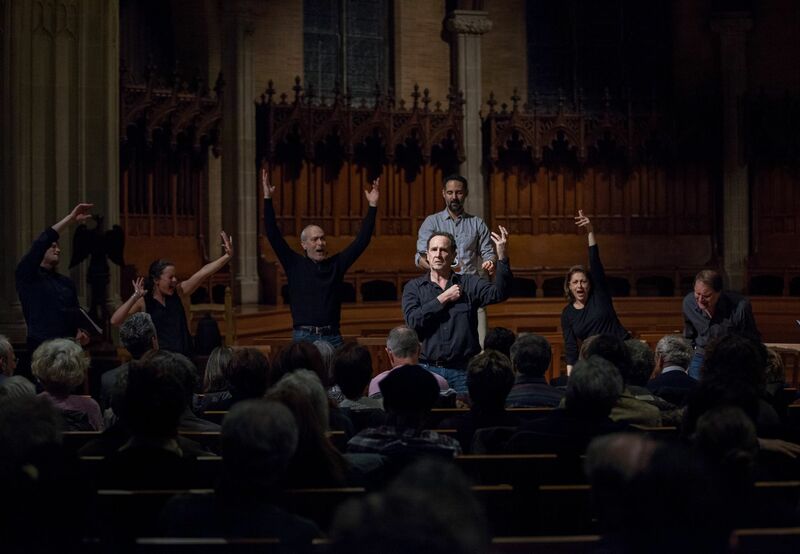 The notion of itinerancy as a conceptual lens for analyzing theater is intriguing and in line with much of the recent scholarship in theater history today. Christopher Balme plays a role in Caplan’s research, and rightly so. His work on Maurice Bandmann (also Jewish), a British entrepreneur who spread theater across the British Empire (on which the sun never set), resonates with Caplan’s concept of the Vilner as a global brand. 2 2 Christopher Balme, “The Bandmann Circuit: Theatrical Networks in the First Age of Globalization,” Theatre Research International, vol. 40, no. 1 (2015): 19-36. Like Bandmann, whose influence cannot be grasped only by examining his theater performances in Calcutta or Cairo, the Vilner must be conceptualized as an entire network, which requires a larger analytic frame. Caplan focuses on the “multimodal” transnationalism to grasp the diffuse nature of the multiple shifting Vilna Troupes, which circulated an aesthetic product from Brazil to Poland to Second Avenue. Beyond these accomplishments, Caplan’s book raises three pressing questions for me. 1. First of all, as a scholar of Ukraine, I kept making comparisons to Ukrainian theater. Theaters in all languages were having modernist breakthroughs in anti-imperial situations at this time; in this way, the Yiddish case is not unique. Young artists in Ukrainian theater, headed by theater innovator Les Kurbas, were doing productions of European and Ukrainian classics in shocking and entrancing new styles. Kurbas himself, in an origin story similar to that of the Vilner, left Russian-occupied Ternopil because his new theater company could not flourish in the conditions of war and occupation. So he became a refugee in Kyiv in 1916, and met local amateurs with similar desires to revolutionize theater in Ukrainian. World War I fundamentally changed theater throughout Europe, by creating new opportunities and challenges, and not just for theater in Yiddish. Moreover, the delightful interludes about life and love backstage could hold for artists in Ukrainian theater as well—or theater in any language, one imagines. However, what marks the Vilner as unique is their global reach. Ukrainian modernist theater never became global, but was restricted to the nation (in this case, ultimately, Soviet Ukraine). Despite interested Ukrainian amateur companies in the Canadian steppes in the interwar period, and in the United States after World War II, the Ukrainian diaspora never created the demand for theater that we see with the audiences clamoring for the Vilna Troupes. To take one small example: the plays of Mykola Kulish, a writer from Soviet Ukraine whose plays actually were transported to Canada in the 1920s, never became the global boom that was The Dybbuk. What other theater company can trace legacies on every continent? 2. While Caplan’s argument about the power of itinerancy is strong, I wonder if it held for the Vilner actors and directors themselves. After all, when the Mordechai Mazo troupe stayed in Warsaw from 1928-1929, it seems they were pleased to get off the road and into a permanent theater. Did these artists want the state sponsorship that eluded them? 3. Finally, and most importantly, the elephant in the room for me is the Soviet Union. Solomon Mikhoels and the GOSET (the USSR’s State Jewish Theater) merits only one paragraph on page 124. Frankly, this is, on the one hand, utterly refreshing. Yiddish theater in Eastern Europe is so much more than Mikhoels, and yet he receives so much credit and most of the scholarship. To throw light on another phenomenon other than GOSET is welcome. (One of) The Vilna Theater Troupe(s) from 1918 or 1919. From left to right: Standing: Noah Nakhbush, Unknown, Jacob Dineson, Unknown, Sonia Alomis, Unknown, David Hermann. Sitting: Boaz Karlinski, Unknown, Chaim Shneyer. via Wikimedia Commons. But on the other hand, what was the relationship between Yiddish theater in the Soviet Union and the Vilner? As Caplan notes, the Moscow theater was state-funded and therefore had different “goals and artistic practices,” but there was, as she notes, some personnel crossover, and the reader wonders what might have made that theater so different. Mikhoels, after all, was discovered and trained by Avrom Azarkh-Granovsky, who trained with Max Reinhardt, who spearheaded innovation into the physicality of German expressionism, which would characterize the Vilner Dybbuks. Where, then, was the border separating Soviet from non-Soviet space for Yiddish theater? This question is important because the quantity of Yiddish theater in the pre-war Soviet Union was enormous. There were many Yiddish troupes, not only Mikhoels’ GOSET. There was Yiddish theater in Soviet Ukraine (Kyiv, Kharkiv, Odessa, and itinerant troupes), Soviet Belarus, and the Jewish Autonomous Republic of Birobidzhan. In the archives I even came across a Yiddish theater in Tashkent, in Soviet Uzbekistan, in the 1930s. Many of these troupes also wanted to transform the Yiddish stage, but in a Soviet context. Indeed, the Soviet context was avowedly internationalist, and its reach was enormous, with theaters touring all over its vast expanse. But these Yiddish theaters did not travel to the non-Soviet world. The Soviet international was not a part of the Vilner international, and as much as the Vilner were a global brand, they did not cover the USSR. These “global” theater networks, then, did not overlap. Yet individual artists did traverse both networks. While the Soviet Union does not show up in Caplan’s book, it surfaced in the lives of her protagonists. For example, Henrikh Tarlo, among others, moved to the Yiddish theater in Soviet Ukraine after his Vilna days. Another example would be the Kaminska-Turkow clan. Ida Kaminska, daughter of doyenne Ester Rokhl Kaminska, married Zygmunt Turkow, in a true Vilner stage romance. Their daughter, Ruth Turkow Kaminska, married band man Eddie Rosner. The Kaminska-Rosner clan fled Nazi-occupied Warsaw and ended up in Soviet-occupied Lviv in 1939, where Rosner was tasked with creating a Soviet jazz orchestra and Kaminska and her new husband Meir Melman (also a Vilner!) ran the Soviet Yiddish theater. 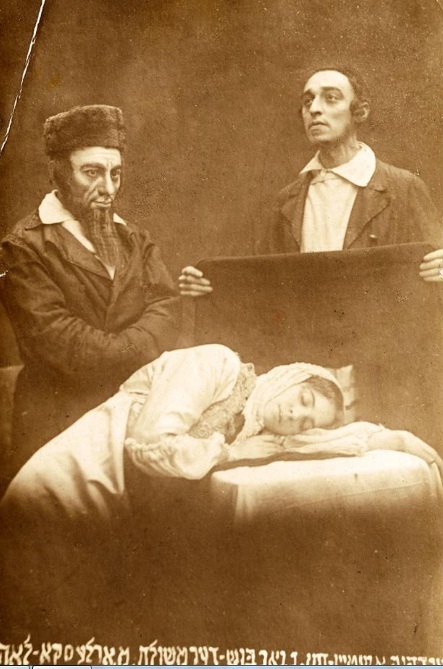 Ruth Kaminska and Eddie Rosner ended up in the gulag; Kaminska ran the Yiddish Theater in Warsaw after the war until 1968, when she moved to Israel. In this way, the Kaminska-Turkows crossed that Soviet-non-Soviet border, and the border between the Vilner and Soviet Yiddish theater. In her memoirs Kaminska notes differences between her understanding of Yiddish theater and the newly-arrived Soviet Yiddish actors; might these be the different “goals and artistic practices” to which Caplan refers, and if so, what might they be? 3 3 Ruth Turkow Kaminska, Mink Coats and Barbed Wire (London: Collins and Harvill Press, 1979); Ida Kaminska, My Life, My Theater, trans. Curt Leviant (New York: Collier Macmillan, 1973). These thoughts on the connections between the Vilner and the Soviet Yiddish theater do not at all diminish Caplan’s contribution to the study of Yiddish theater and theater history writ large. Yiddish theater clearly belongs at the center of global theater history, and Bella Bellarina’s box of reviews deserves more readers. Caplan is one of the contributors to Digital Yiddish Theater Project (https://www.yiddishstage.org), a website with short articles, maps, and other resources, and one hopes that this website might bring the Yiddish stage to a wider theater history audience. Most theater history surveys, as Caplan notes, ignore Yiddish theater, whether because the language creates a barrier for researchers, or because so many of its players either died or assimilated to English-language theater and film. This book, however, shows how wrong that sidelining of Yiddish theater is, and how theater history of the twentieth century needs to pay more attention to not only the Yiddish stage, but in particular to the Vilner. The troupe may have only shone for a decade, but its resonance across the world cannot be underestimated. Sharon Carnicke, Stanislavsky in Focus: An Acting Master for the Twenty-First Century (New York: Routledge, 1998). Christopher Balme, “The Bandmann Circuit: Theatrical Networks in the First Age of Globalization,” Theatre Research International, vol. 40, no. 1 (2015): 19-36. Ruth Turkow Kaminska, Mink Coats and Barbed Wire (London: Collins and Harvill Press, 1979); Ida Kaminska, My Life, My Theater, trans. Curt Leviant (New York: Collier Macmillan, 1973). Fowler, Mayhill. “Review of Yiddish Empire: The Vilna Troupe, Jewish Theater, and the Art of Itinerancy by Debra Caplan.” In geveb, February 2019: https://ingeveb.org/articles/review-of-yiddish-empire-the-vilna-troupe-jewish-theater-and-the-art-of-itinerancy-by-debra-caplan. Fowler, Mayhill. 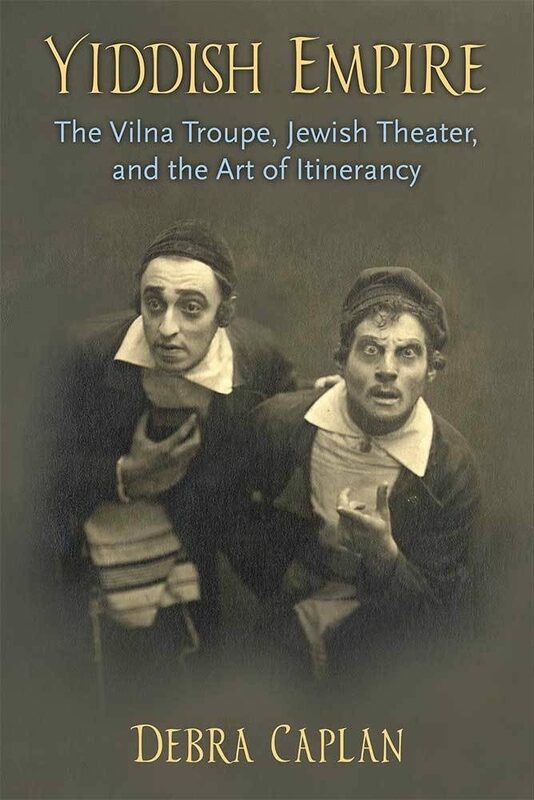 “Review of Yiddish Empire: The Vilna Troupe, Jewish Theater, and the Art of Itinerancy by Debra Caplan.” In geveb (February 2019): Accessed Apr 21, 2019. Dr. Mayhill C. Fowler (Ph.D. Princeton) is assistant professor of history at Stetson University, where she also directs the program in Russian, East European, and Eurasian Studies.